When employees are exceptional, everyday rules no longer apply. In 1933, Albert Einstein fled Nazi Germany for the leafy streets of Princeton, NJ. He would have been welcome anywhere, but Einstein joined the Institute for Advanced Study, bestowing instant credibility on the fledgling research center. Abraham Flexner, the institute's founder, wasn't a physicist or mathematician-but he was a gifted administrator. Under his leadership, IAS became a global powerhouse, home to 33 Nobel Laureates, 38 Field Medalists, and myriad winners of the Wolf and MacArthur prizes. The team of thinkers that Flexner assembled produced some of the greatest scientific advances of the 20th century. The man had a knack for leading genius. 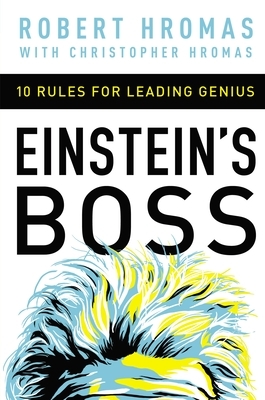 Einstein's Boss filters Flexner's practices through the lens of modern business, where industries from computing to engineering to biotechnology compete for top talent and cutting-edge innovations. Original and insightful, the book explains how to spot the deep thinkers who will transform your business-and reveals 10 rules for guiding them to greatness, including: * Get out of the way: Allow brilliant people ownership of their projects * Shut up and listen: Consider their input openly before reaching conclusions * Turn over the rocks: Be completely transparent-a genius will figure out what you're hiding anyway * Practice alchemy: Mix complementary minds together for maximum effect * Let the problem seduce: Frame challenges in a way that captures the imagination and draws them toward the goal * Quit chasing squirrels: Guide innovation towards the core mission. Leading people who are smarter than you is no easy task. But for managers who learn to channel brainpower into breakthroughs, the rewards are boundless. ROBERT HROMAS, MD, is a skilled administrator, mentor, scientist, and clinician who leads a department of over 320 faculty physicians, 50 Ph.D. investigators, and 200 physicians in training at University of Florida Health. He personally supervises a laboratory designing new cancer drugs.